Incorporated in 1965, Mid Central Community Action’s mission is to educate, equip, and empower people to achieve healthy relationships, finances, homes, and neighborhoods. MCCA envisions healthy self-sufficient families interacting positively with one another in strong, safe and diverse neighborhoods to enhance the community while preserving the environment. MCCA’s core culture is to treat clients, external contacts and employees with respect and honesty. Mid Central delivers services to the community to communities in McLean and Livingston Counties in three main areas. MCCA provides countering domestic violence services via its Neville House shelter, emergency hotline (over 3,500 calls per year), and counseling and intervention services to victims. CDV reached nearly 1,500 individuals with direct services and training in 2017. 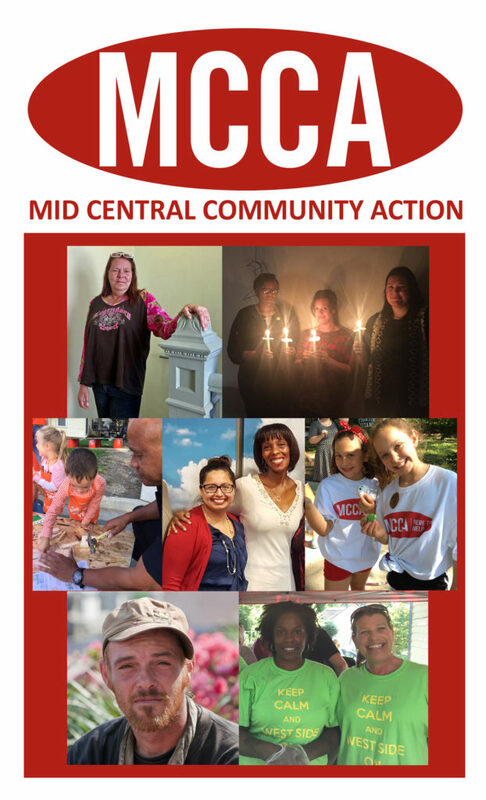 MCCA offers the whole spectrum of traditional Community Action programs including CSBG/Family Services Programs, energy assistance, home weatherization, transitional housing, and supportive case management. These services assisted over 13,000 individuals and leveraged over $1.5 million in funding for McLean and Livingston Counties. MCCA also provides alternative housing services for the homeless through Mayors Manor in Bloomington Illinois. In partnership with the community, MCCA provides financial coaching, home ownership counseling and educational opportunity via the Next Step program. Last year over 1,000 households were provided with financial counseling and financial literacy training services. MCCA is a chartered member of the NeighborWorks® America network of housing development and neighborhood revitalization organizations. In 2017, MCCA was able to create over 4 dozen new homeowners and leverage over $4.2 million in homeownership promotion resources through our homeownership services. MCCA was also able to work with over 250 residents via the Jefferson Street Community House and generate over 400 volunteer hours to engage resident leaders to develop sustainable solutions to locally-defined goals. In 2004, MCCA Executive Director John Burrill and the Board of Directors took the proactive step of setting up an endowment in order to sustain the organization for the long term. This allows MCCA to continue its 50-year mission and promise that changes people’s lives, embodies the spirit of hope, improves communities, and makes America a better place to live. We care about the entire community, and we are dedicated to helping people help themselves and each other. Each year the endowment provides a distribution to go towards the operations of MCCA. As the principal grows over time, so will the annual distributions. If you would like to help ensure that Mid Central Community Action continues to provide important community services for years to come, please make a gift to the endowment.